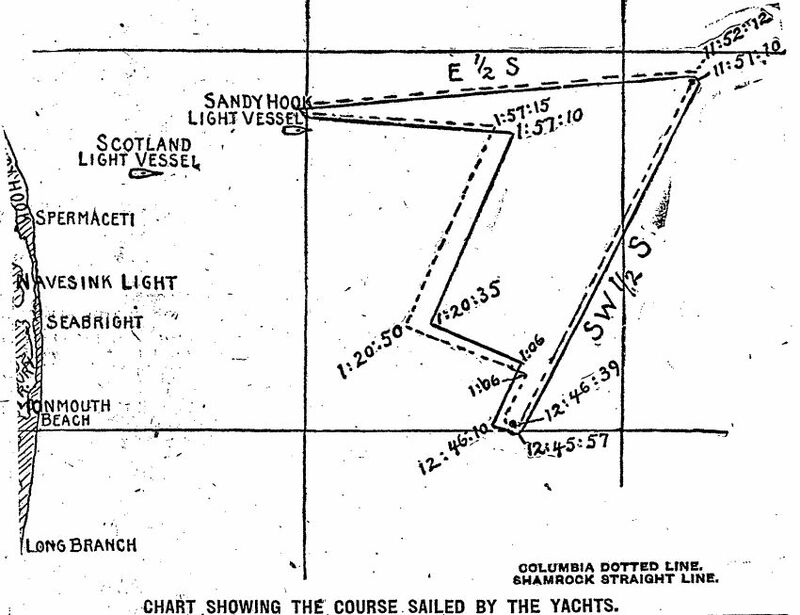 Signal flags were set on the committee tug at 10.30 for the triangular course, laid E. 1/2 south, S.W. 1/2 S., and N.N.W., giving a reach on the first leg with wind abaft the port beam, a reach on the second leg with the wind abaft the starboard beam, and a beat home dead to windward. Columbia won by 2 m. 52 s. elapsed time, and .3 m, .35 s. corrected time.